As you can imagine, we get this question ALL of the time. You have seen the beautiful projects, and heard the buzz, and you wonder, exactly what is the deal here anyway?! 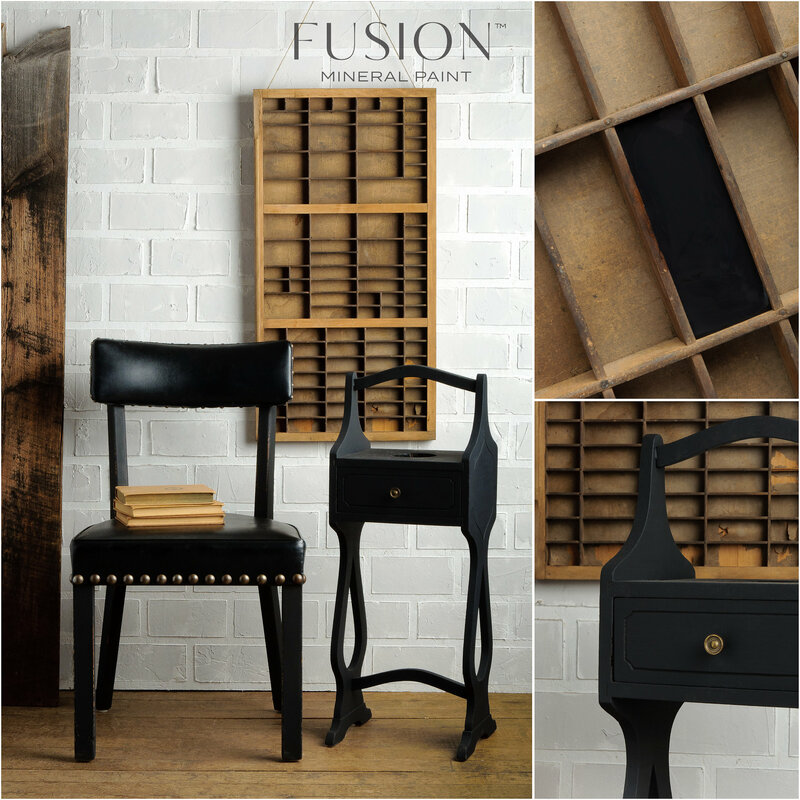 What is it that makes Fusion Mineral Paint so wonderful and different? That’s right NO top coat required!! Say what!? Fusion is an all in one formulation that has changed the DIY world making it easier to get a professional look with less time, money, and effort. In some cases you may choose to use our Fusion Tough Coat for a little extra protection on very high traffic areas, but most of the time just paint and done! Yes, Fusion Mineral Paint is easy. You don’t need to strip it down to raw wood either! Minimal prep means a clean surface and possibly a light sanding by hand is all the prep that is usually needed. Super slick manufactured surfaces like melamine or laminate, we recommend using Fusion Ultra Grip, which makes painting the impossible possible. Did you know you can paint fabric, metal, glass and plastic too?! It is easy to apply, has a built in top coat for water permanency, it is reasonably priced, durable and eco friendly; not to mention the 100% acrylic composition assures a quality finish that adheres beautifully with a gorgeous satin sheen!Minimal prep work and no top coat make Fusion DIY friendly for so many types of projects and finishes. Zero VOC’s also means virtually odorless! 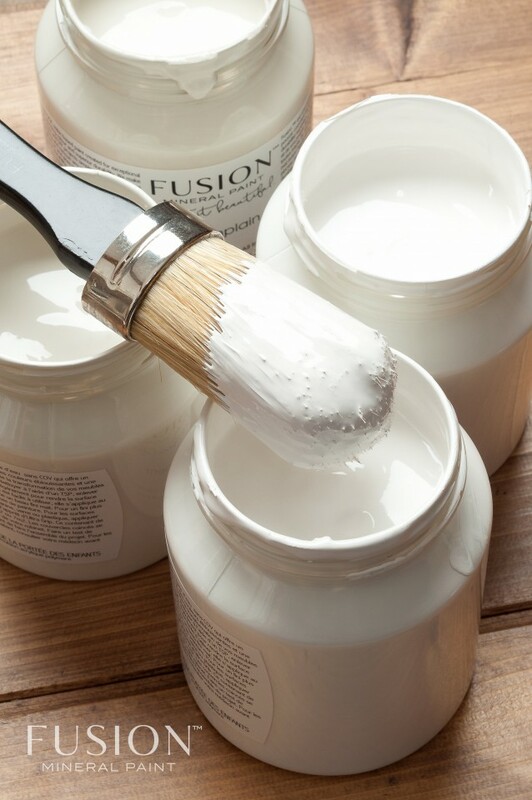 When you paint with Fusion you will find there is virtually no odor. I know…WOW!! This makes indoor painting enjoyable and safe for everyone! No need to worry about opening windows and ventilation, even in the winter when you paint indoors. Nursery projects, kids crafts, or whatever your project is, it can be done with no worry about strong and harmful odors. Our environmentally and health conscious formula is also lead free, phlalate free, formaldehyde free, ammonia free. I know, pretty amazing stuff indeed! 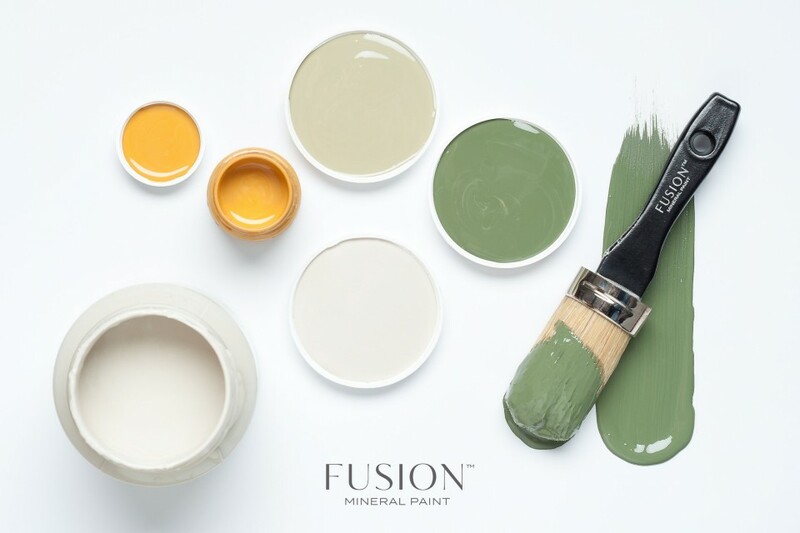 Fusion manufacture paint with the highest quality finely ground, natural mineral pigment and that means you will not get a better depth of color or coverage from any other paint. You can expect an astounding 75 sq ft of coverage per pint (500ml). 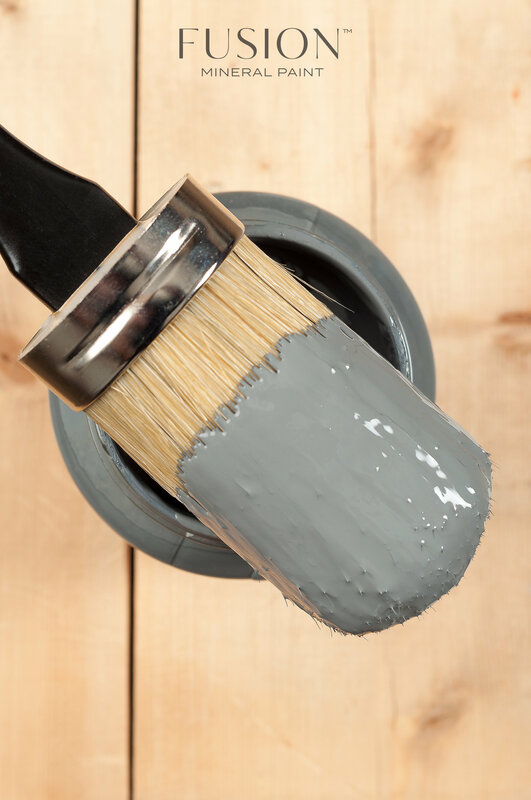 which is equal to about 1 quart of a Chalk Type paint, for a lot less money and time! It’s gives a matte, creamy, opaque and perfectly smooth finish! One coat is all you will need for most surfaces, however we always say 2 thinner coats is better for a super fine and smooth finish. 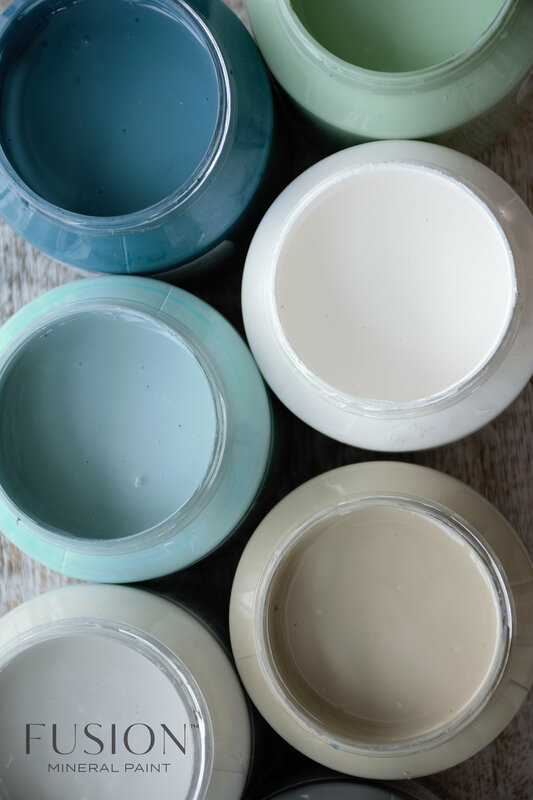 Because Fusion uses real Mineral pigments, our paint is also naturally UV resistant and your color will not fade over time!